Thanks everyone who came to see us at MelloMello and FUEL, and to Newpath for putting the gigs on. Coming up, we have two gigs supporting Carlton Melton: 17th October at The Red House in Sheffield, and 21st October at Hebden Bridge Trades Club. Then we’re back in Manchester on 9th of November with Agitation Free. Details as always on the gigs page. Meanwhile the first instalment of our collaboration with Black Tempest is about ready for the pressing plant – it will be released by the excellent new label Cardinal Fuzz, on coloured vinyl, all being well just in time for Christmas. 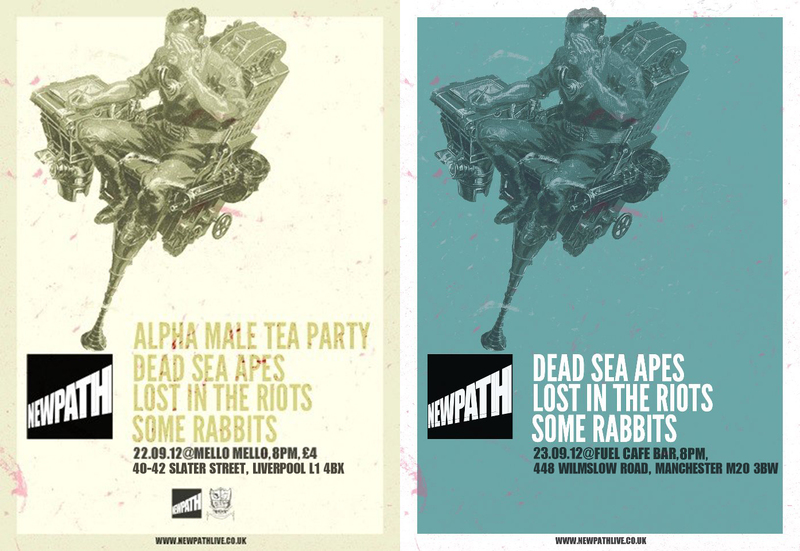 This weekend we have two gigs, both under the auspices of Liverpool-based promoters Newpath. On Saturday we go over to their regular spot at Mello Mello in Liverpool, and on Sunday they’ll make the return visit to one of our local venues, FUEL in Withington, south Manchester. Another gig to announce: the day after our excursion to Liverpool on the 22nd, we’ll be back in Manchester, at FUEL Café Bar in Withington on Sunday 23rd. Details & links as ever on the Gigs page.